Activists are heartbroken after taggers made their mark Friday night on a downtown Las Vegas mural that stands as a symbol of hope for indigenous people. “I am so saddened at the amount of prejudice on this art that brought our indigenous communities together,” Las Vegas Paiute Tribe member and activist Fawn Douglas said Saturday. But graffiti investigators with the Metropolitan Police Department are not treating the tagging as a hate crime, Metropolitan Police Department Lt. Grant Rogers said. 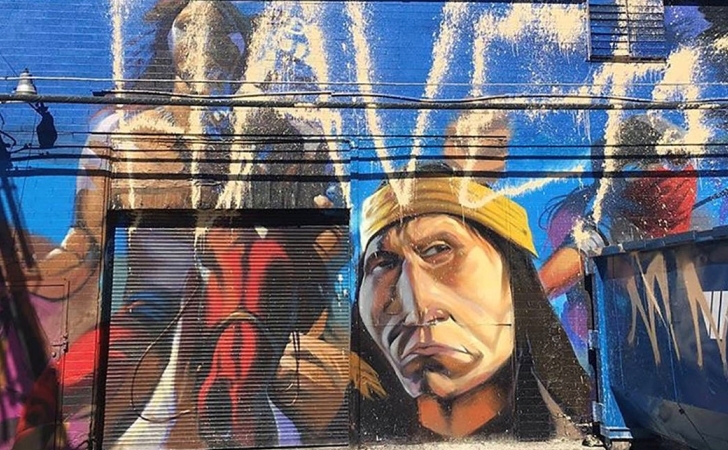 Officers were called by activists about 3:30 p.m. Saturday to 1001 S. First St, an address in the downtown arts district, where the large mural colors an alleyway. “HAVEC” had been tagged across the painting. The exact meaning behind the tagging is unknown, but Rogers said it isn’t biased. Douglas and seven other activists were at the mural Saturday afternoon talking to Metro officers. “They told us it looks like the act of awful people who want fame,” she said. 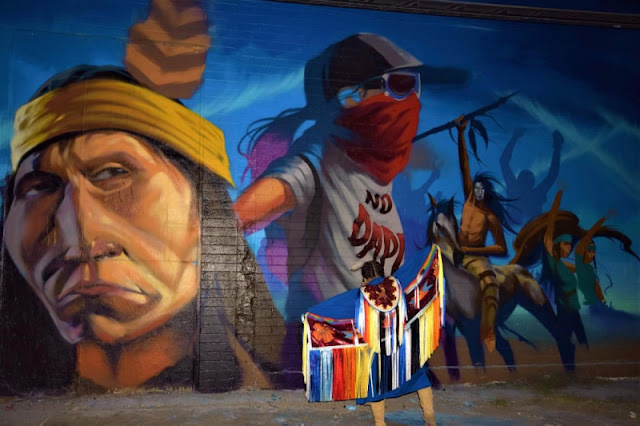 On the night of the vandalism, nearly 250 protesters rallied in front of the mural as part of a national call to action in support of the Standing Rock Sioux Tribe, Douglas said. Police said no arrests have been made in connection with the tagging as of Saturday night. Responses to "Vandals deface Dakota Access Pipeline protest mural art in downtown Las Vegas"
Is there an reward ???? ?